I haven’t posted in a few months, but I was suddenly inspired to give an “update” from the spark of last years controversial discussion The Battle For Justice Part 1:. Welcome to The Battle For Justice Part 2:. On July 13, 2013, after two days of deliberations, the jury returned with a verdict of not guilty for both second-degree murder and the lesser included charge of manslaughter. Five of the jurors were White Females, and the Sixth juror was a Female considered non-White, or mixed Black and Hispanic. The decision of six jurors have single handily sparked conversations, boycotts of Florida, rallies, and riots, addressing racism across the nation. Many blame the NAACP and Media for race baiting and overshadowing their personal emotions from facts within the case, while many question their own safety and justice after such verdict. 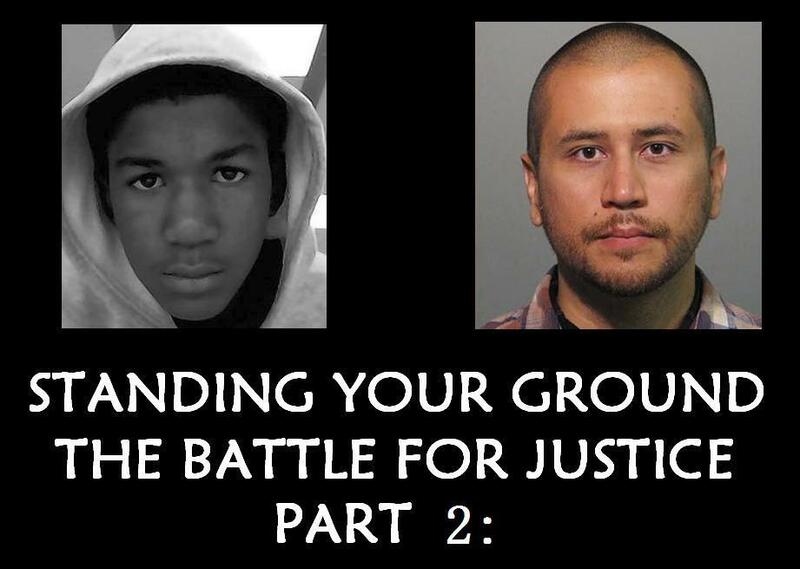 Protesters around the country -100 rallies on July 21-22, 2013 called on the Obama administration to prosecute George Zimmerman, the man acquitted of killing unarmed teenager Trayvon Martin, on civil rights grounds. “And do we actually think that he would have been justified in shooting Mr. Zimmerman who had followed him in a car because he felt threatened? Following a request from the FBI, the Sanford Police Department reported on June 18, 2013 that it has halted its plan to return George Zimmerman’s gun and other pieces of evidence used at his murder trial. The move is a clear sign that the U.S. Department of Justice is moving ahead with its investigation into whether the former Neighborhood Watch volunteer violated the civil rights of Trayvon Martin, the unarmed black 17-year-old he shot in Sanford last year. With all federal civil rights crimes, the government must prove beyond a reasonable doubt that a person acted intentionally and with the specific intent to do something which the law forbids – the highest level of intent in criminal law. Negligence, recklessness, mistakes and accidents are not prosecutable under the federal criminal civil rights laws.